I am excited and can't wait to be there! I'm one of the DISRUPT authors/speakers! Can't wait! 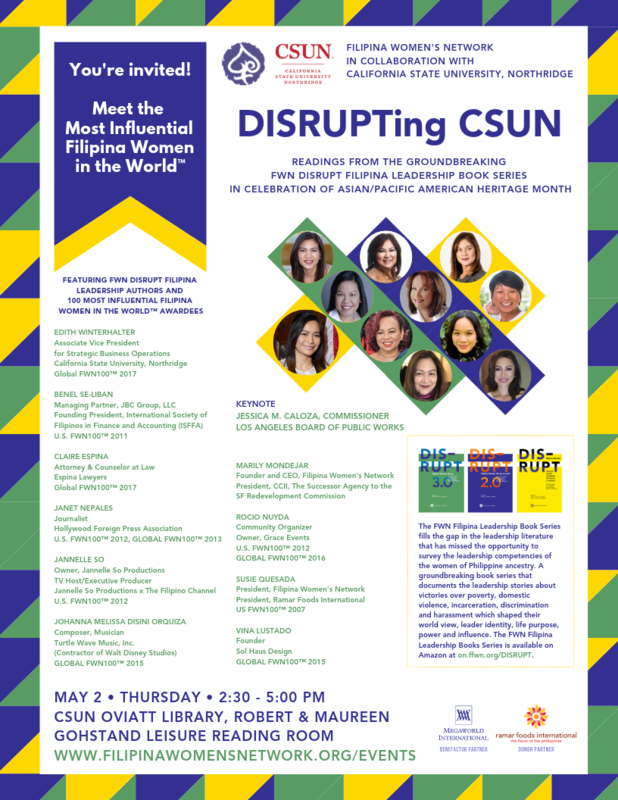 The FWN DISRUPT Filipina Leadership Book Series fills the gap in the leadership literature that has missed the opportunity to survey the leadership competencies of the women of Philippine ancestry. A groundbreaking book series that documents the leadership stories about victories over poverty, domestic violence, incarceration, discrimination and harassment which shaped their world view, leader identity, life purpose, power and influence. The FWN Filipina Leadership Books Series is available on Amazon at on.ffwn.org/DISRUPT.